Cliffhanger Productions Games’ speed-chess-meets-MOBA, cross-platform game ÆRENA will take to the ESL Twitch stage in Hall 9.1 for a global premiere. Showcasing the brand new ÆRENA 2.0 version with the first ever live match between previous season’s Æthermaster and one of the designers of the game, ÆRENA moves up the ladder of competitive gaming to livestream the event on Twitch. 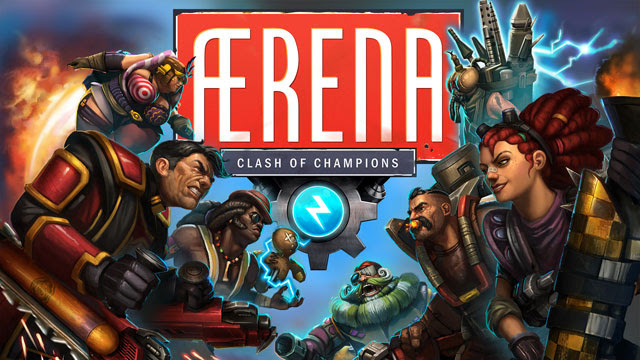 Breaking the boundaries of platforms to present core games on mobile and tablet as well as PC, the deeply tactical, turn-based hero combat of ÆRENA pitches players in heated one-on-one battles where you fight with your fingers, but win with your brain. Ærena will be streamed live from the ESL Gamescom Twitch stage in Hall 9.1 at 11 am on Thursday, Friday and Saturday and is available on Steam, Google Play and the iOS App Store for free. Cubizone revealed today that their newest game, Mia Online Mobile, has begun their pre-registration phase. Starting today, players can access a new chapter in the Final Fantasy X story, in addition to a new Ultimate Hero Summon for Tidus and more. SMITE - Available Now on Steam!